Today is my stop on The Night House blog tour hosted by Chapter By Chapter! 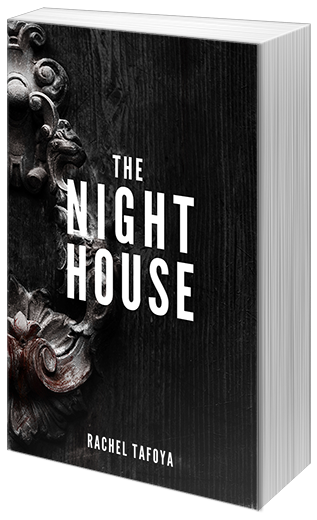 Check out my review of The Night House, and then enter for a chance to win 1 of 5 copies! I really enjoyed The Night House. I found Rachel Tafoya's debut to be an entertaining read with a unique plot, super interesting world, and great character development! 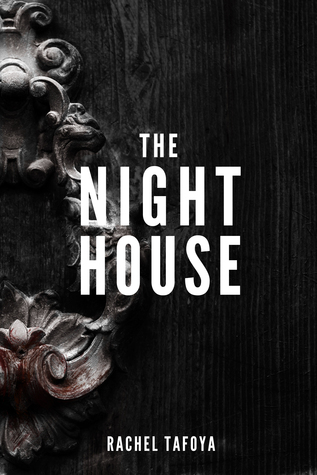 I found myself thoroughly immersed in the world of The Night House. The book alternates between James and Bianca's first person POV every other chapter. I really felt that this choice was what really helped me to get to know the two main characters on such a personal level. Though I loved both James and Bianca as characters, I found myself looking forward to Bianca's chapters the most. This was probably due to the fact that I tend to be drawn to characters with major emotional issues and hard lives. 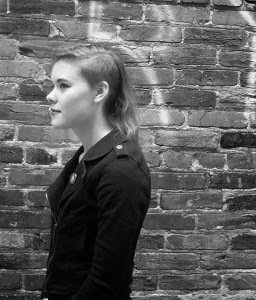 Bianca lives in a Night House where she is paid to let vampires feed from her. Unlike most women in the Night House, Bianca does this not for the money, but to feed her addiction to nauth(a substance that comes from a vampires fangs while feeding). She has a much darker life and is more deeply scarred than James(though he does have some major issues of his own). James is an empath. He can feel what those around him are feeling(emotional and physical). This has caused him to become somewhat of a recluse. Let me just say that the vampires in this story are actually scary! They are true monsters, and I was glad that the author created them this way. She could have gone the route of some other YA novels, but thankfully she kept the creep factor fully in tact when it came to the vamps! Though this is a book with vampires, I wouldn't consider it a 'vampire book'. I felt that the story went much deeper than that. Both characters have their own personal 'issues' to deal with. For example, though some of Bianca's problems have to do with vampires, she also has deeper emotional scars and her addiction to try and overcome. Overall, The Night House was a great story. I loved the way Tafoya combined addiction and emotional issues with the paranormal. It was a very unique combination of genres, and I flew through this book in one night. There were a few surprising twists that I didn't see coming, which made the story THAT much more exciting! The ending definitely leaves room for a sequel, and while I hope there is another book on the way, enough was resolved that it could very well be a stand-alone. Either way, I will definitely read whatever Tafoya writes next! Note: I received a free advanced copy of this book from the publisher for my honest review. I was in no way compensated for this review and all opinions are my own. Thank you for the chance at this giveaway! !